I keep a folder called Hunters in my bookmarks. It's basicly the armory pages of fellow hunters I come across. It's kind of like Facebook; I like to see what they're up to, and of course compare them to Lae. When checking out characters on armory, it's important to keep in mind that the talent points, glyphs and gear they use might serve a special purpose and is not necessarily the best PVE/PVP setup. They may be working on a special raid boss, soloing or experimenting in some way. This hunter is especially good at feigning death and other abilities that requires acting. ;) The person behind the character is Michele Morrow, scream queen and "last girl". She has a campaign going to become Sylvanas Windrunner in the upcoming Warcraft-movie, check out her Facebook-page. Attended Hunting Party Podcast Episode 34, 41, 80, 100 and attended Twisted Nether Blogcast Episode 26: Is That a Tiger in Your Pocket? [BRK-1000] "Smells faintly of raspberries." Drinks [Darkbrew Lager] all day long. GM of the guild Bucket List. GM of the guild Rollin with Bob Saget. [Recovered Cloak of Frostheim] "This gunpowder stained cloak belonged to an uncommonly good-looking hunter." GM of the guild Clan Destined. Proud wielder of Thori'dal, the Stars' Fury. Kripparian won the Ironman Challenge 28-feb-2012 on his alt Kripparian; leveling to 85 without gear over common quality, without dying, without talent points etc etc. Link to video. GM of the guild Release and Run. Mania used to have a fullgrown orc hunter on an US-server, but I can't find it! Attended Twisted Nether Blogcast Episode 15: Pet Mania! GM of the guild Earth and Bone. More then half of his pets are called BAZINGA. Attended Twisted Nether Blogcast Episode 141: Rhok it! Yeah! GM of the guild Convicted. [Zeherah's Dragonskull Crown] Zeherah is the hunter queen. Featured in Hunter Transmog Gallery in WoW Hunters Hall. This was the number 1 geared hunter in the world in november 2011 (managed by equipping heroic Ragnaros shammy healing helm with expertise gem, made me lol xD). GM of the guild Royalty. Naanei is leveling by only accepting quests from draenei, naaru and non-living objects, profession gathering, battlegrounds and dungeons. This is a hunter I made to do original WoW endgame with. Same as Inadra, she's patiently waiting for this to actually happen. 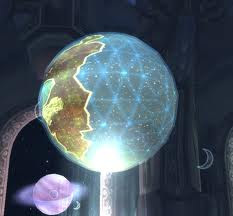 1-feb-2012: Lyraat has said his farewells to WoW for now. He'll still be blogging, but now about IRL, babies and various other subjects. :) Hope to see you again Lyraat! There's a dead armory link here, which I'm keeping in hope it'll become active again. ;) Saphirestar was in a guild I was in in WOTLK, and a group of us followed her to the next guild she went to as well. I was having a hunter-break at the time and played my shadow priest. 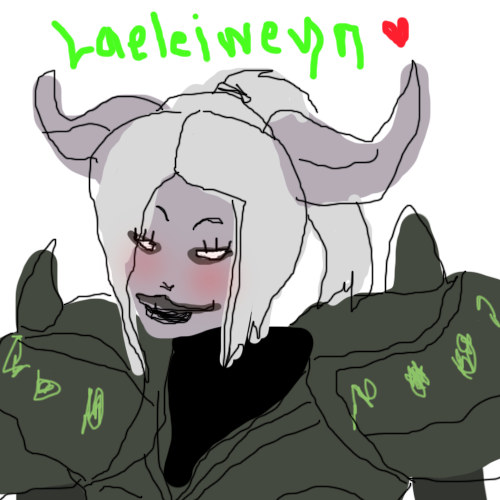 Her amazing DPS and general draenei cuteness were two of many things that made me dust of Lae again. :) Unfortunately she switched server (and race to Troll) and eventually stopped playing WoW, but you can find her at twitter, as she's playing lots of other games. Wow, this is actually a very good idea. If there is a wish list for hunter sites I want to see, this would top it. I'm honored to be on the list, Lae. Nice write-up! I always end up doing this manually and of course don't see everyone's real gear pic. Kriparrian now goes by Kripp on Cho'gall server. His guild did a server change and the name wad already taken. He's also cleared heroic SD. Your welcome. Love your site and keep up the great work!! I also need to proof read before submitting...lol. I am honored to be on this list and be a part of this hunter community. You got a screen shot of me while I am in the middle of working on my transmog set. Oh nice! BTW I finished my transmog set. How does it look? 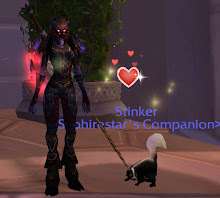 I set it up to match my first Spirit Beast, Skoll. Oh yeah. One more thing. I just cleared DS reg on 10 man. You can update it. I am now "Guntitan, Destroyer's End." 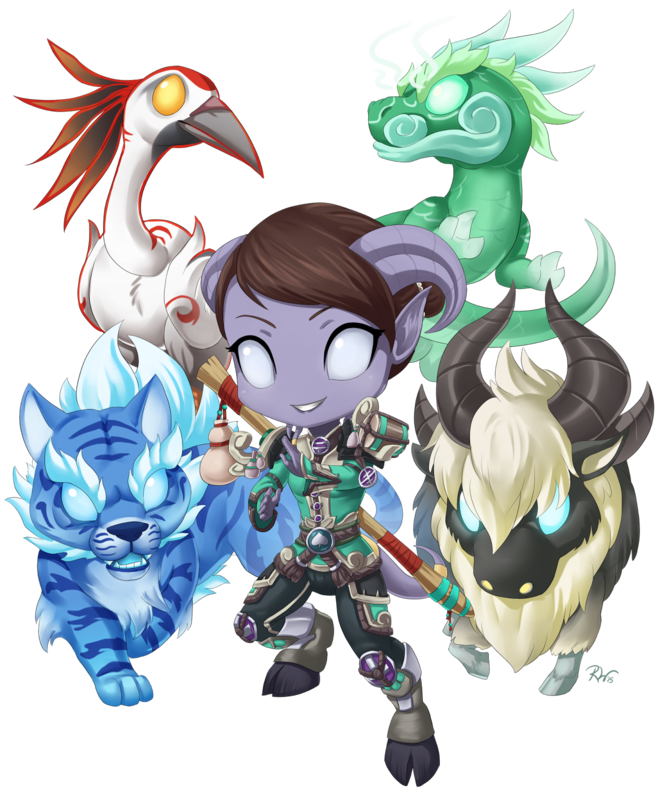 You should add Daefaroth from the Wowhead Hunter Forums. 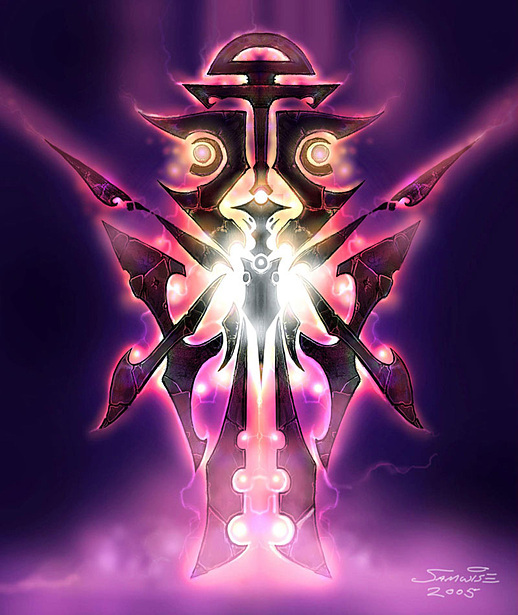 He replies to a lot of our questions and put up the 4.3 Cataclysm Pre-Raiding Gear Guide. I would also suggest adding links to our blogs and twitter accounts. That way others can start to follow each other's content. There are links to all blogs, and also armory, twitter, facebook, other blogs, guild sites and podcasts where I've found them relevant. Links don't have other colours, so that may be why you haven't seen them, but they're there. :) If you hover mouse over blog names, you'll be able to follow link. Oh nice. This is a very good list. Yeah I think the colors to the links looked the same so I didn't notice. Nice work Lae. Another hunter you might want to add is Vandpistol/Caribald, who recently got the world-first solo for Algalon. Hello mate, thanks a lot for showing me here, I very much appreciate it, didn't expect it! Really nice blog! By the way, for a laugh you might want to check the dates of my Sunwell Plateau and Thori'dal achievements, it's something I like to link every now and then as I guess it's quite rare (and extremely lucky)! Thanks for including me and my site on the Hunterstalker list. Cheers go out to my fellow hunters. Just got back to my blog today (hoping to reignite the blogging flame) and found that you had put me on this list. Just wanted to say thanks and good luck with the website and this project, looks very interesting! I'm updating either this weekend or next week, I'll make sure to cover your transition to horde. I am interested, have you set up some kind of script that gets this information for you? I just saw you had updated my information with a new screenshot (new look) and honorable kills even though literally it can only have been a few days since I changed to the crossbow look. If you are updating this manually then mad props, that's awesome! Hei Zumio. The picture is dynamic; it's not uploaded by me, I'm just showing the armory one. :) The rest is manual labour I'm afraid. It's become a ****load of work to be honest. xD And I'm very interested in looking into making some scripts using the API's in the armory, but I'm lacking the knowledge (and time) to do that, for now at least. I don't think I could have one website getting all this info every time someone loaded it, that would be too much load kind of. But some intermediate that got all the info. Hm, will investigate further. Added Twitter! I'm not updating Firelands-kills that happened after Dragon Soul launched though (to keep the amount of update down by a tiny bit). I'll add a line about it somewhere actually! Hunterstalker is awesome, and I've found several other Hunter blogs to read! Love the site!! Honored to be on this list. Love this blog! what happened to the spirit beast count? I deleted it. With so many hunters the manual labor of updating things became too much unfortunately. I would have to learn about armory API's and build an own website for it if it was to get automatically updated. Unfortunately I don't speak that language.